If banks take too many risks with their clients’ money, their clients may end up out of pocket and unhappy. If banks are too cautious, innovation and efficiency suffer. 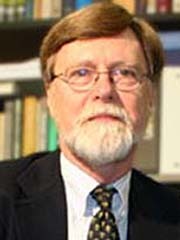 Mark Flannery, a professor in the Warrington College of Business Administration, studies the regulation of riskiness. Government supervision (and the withdrawal of some of its protection of the banking system during the 1990s) attempts to balance the safety of customers with a bank’s freedom. But supervisors require reliable information. Flannery says his research shows how market forces can help supervisors achieve their goals. For example, the interest rates on certain kinds of bonds issued by most large banks provide a reliable guide for regulators on the lookout for potential problems. How businesses set their debt-to-equity ratio provides Flannery with another field of interest. Several of his current projects will examine whether such ratios are formed according to theoretical rules or by other, sometime mundane, factors – such as a manager’s convenience or a firm’s ability to sell investors overpriced shares.